Hardened mineral deposits formed in the kidney are called urinary or kidney stones (calculi). These originate as microscopic particles and over the course of time develop into stones. 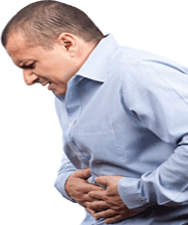 Medically this condition is known as nephrolithiasis or renal stone disease. 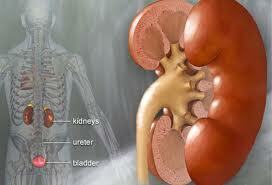 The kidneys filter waste products from the blood and add them to the urine. When waste materials in the urine do not dissolve completely and the kidney is unable to evacuate them, crystals and kidney stones are likely to form. Some stones may pass out of the kidney or get lodged in the ureter (tube that carries urine from the kidney to the bladder) and cause severe pain that starts from the low back and radiates to the side or groin. 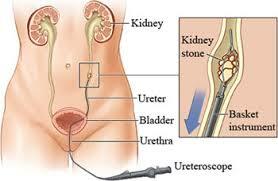 A lodged stone can block the flow of urine and build a backpressure in the affected ureter and kidney. 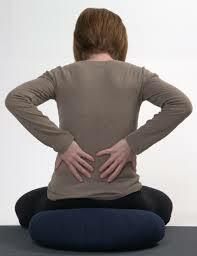 Increased pressure results in stretching and spasm causing severe pain. Extracorporeal Shock Wave Lithotrispy (ESWL) uses highly focused electro magnetic waves projected from outside the body to crush kidney stones anywhere in the urinary system. The stone is reduced to sand-like particles that can pass in the urine. Large stones may require more than one sessions. It can be used for patients of all age groups and those who have heart and breathing problems. However, the procedure is contraindicated for pregnant women. ESWL by 4th generation “SIEMENS LITHOTRIPTER” with ultrasound attachment helps to treat even radioluscent stones, which are not visible in normal fluoroscopy Lithotripters. Percutaneous Nephrostolithotomy (PCNL) is performed under epidural or spinal anaesthesia. Percutaneous ( through skin) removal of kidney stones (lithotomy) is accomplished through the most direct route. A telescope along with the mechanical lithotripter in inserted to break the stone into fine particles so as to achieve a stone-free status in large and complicated stones. This procedure usually requires hospitalization, and most patients resume normal activity within 2 weeks. Ureterorenoscopic Lithotrispy with Holmium Laser is performed under epidural and spinal anaesthesia to treat stones located in the middle or lower ureter. A small, fiberoptic instrument (ureteroscope) is passed into the ureter. Large stones are fragmented using 100-Watt Coherent Holmium Laser. The laser fragments the stone into sand like particles, which are then flushed out through the natural urinary passage. The advantage of Holmium Laser is its ability to fragment stones of all compositions with precision. Thus, it is the most effective laser for the treatment of urinary stones. Patients are generally admitted on the same day of the treatment and are discharged next day, which means only 24 hours of hospitalization is required.